A Telugu Desam Party MP on Thursday allegedly went on the rampage, pushing an airline staffer and throwing a printer on the floor, after he was denied boarding by IndiGo for being late -- prompting a flying ban by the budget carrier as well as state-run Air India. 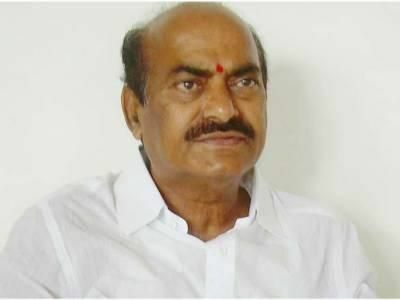 While IndiGo had finally accommodated J C Diwakar Reddy of Telugu Desam Party, to which Union Civil Aviation Minister Ashok Gajapathi Raju also belongs, on the same flight on Thursday morning, later it decided to ban him from taking its flights. State-run Air India soon followed suit by barring him from its own flights. Earlier this year, Shiv Sena MP Ravindra Gaikwad was temporarily banned by airlines from flying after he assaulted an Air India staffer, triggering a major controversy. Following this, the Centre released its draft rules for a national no-fly list for unruly passengers and proposed a ban on flying from three months up to an indefinite period. The government is expected to finalise these rules shortly. Reddy was scheduled to fly IndiGo’s flight 6E-608, which departs from Visakhapatnam at 8.10 am, to Hyderabad. But he reached just 28 minutes before the scheduled departure, according to the airline. Reddy -- who had allegedly vandalised the Air India office at Gannavaram airport in Vijaywada last year after he missed his flight -- got into a verbal spat with the ground staff and threw a printer kept at the airline’s counter after he was informed that boarding for his flight had closed. Television channels also showed CCTV visuals of him allegedly pushing an IndiGo employee. “The staff politely informed him that boarding for flight 6E-608 is closed and offered to accommodate Mr Reddy in the subsequent flight. Mr Reddy expressed his annoyance and soon raged against the staff using aggressive and abusive behaviour,” IndiGo said in a statement. Late in the evening, a top airline official said that IndiGo will not allow Reddy on its flights. When asked whether the decision to ban the TDP member was of IndiGo alone or other Federation of Indian Airlines members are also on board about the decision, the official said, “I speak only for my airline”. FIA members are IndiGo, SpiceJet, GoAir and Jet Airways. Jet Airways, GoAir and SpiceJet did not immediately respond to queries on whether Reddy would be banned from their flights also. In a statement, IndiGo said, “Any untoward conduct which compromises the safety and security of our passengers and staff is a serious concern for us. Safety and security of passengers, crew and the aircraft is the top priority and it cannot be compromised.